SecureNinja's MCSA: Windows Server 2008 training and certification boot camp in Washington, DC will prepare Microsoft professionals to obtain the Microsoft Certified Solutions Associate (MCSA) certification to demonstrate your leadership and problem-solving skills in working with Windows Server 2008. Server administrators are recognized among their peers and managers as leaders in the day-to-day operations management of Windows Server 2008. Demonstrate and communicate your ability to take system-wide ownership of Windows Server 2008 administration, and increase your organization's return on technology investment, by earning the Microsoft Certified Solutions Associate (MCSA) certification. 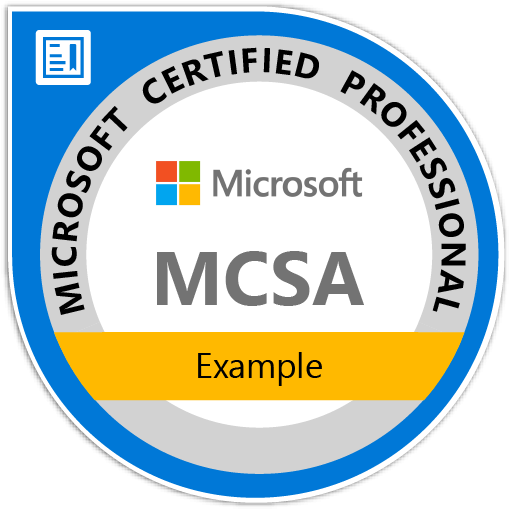 The Microsoft Certified Solutions Associate (MCSA): Windows Server 2008 certification shows that you have the minimum set of skills needed to hit the ground running, and differentiates you as better able to work with Windows Server 2008 in a real-world business context. This certification validates a set of core Windows Server skills that are relevant across multiple solution areas. Candidates are IT professionals capable of deploying, building, designing, optimizing, and operating technologies for a particular job role. They make the design and technology decisions necessary to ensure successful technology implementation projects. Configure zone transfers and replication. Configure Active Directory Lightweight Directory Service (AD LDS). Configure Active Directory Rights Management Service (AD RMS). Configure the read-only domain controller (RODC). Configure Active Directory Federation Services (AD FS). Automate creation of Active Directory accounts. Create and apply Group Policy objects (GPOs). Configure audit policy by using GPOs. Install Active Directory Certificate Services. Configure a Domain Name System (DNS) server. Configure Windows Server Update Services (WSUS) server settings. Plan server installations and upgrades. Plan for automated server deployment. Plan infrastructure services server roles. Plan and implement group policy strategy. Implement a patch management strategy. Monitor servers for performance evaluation and optimization. Monitor and maintain security and policies.